Universal BaseBoard for ALL of the Micro RWD (24-pin) module types. 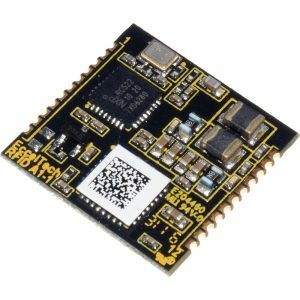 The Universal Socket board provides the antenna and the serial-to-USB interface to the MicroRWD module. 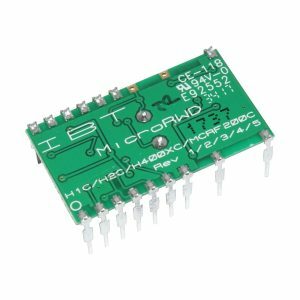 Specifically, the board has a 24-pin DIP socket for the appropriate MicroRWD module to be plugged into, LEDS for visual status indication and selectable PCB and coil based antenna for 13.56 MHz or 125 kHz operation. 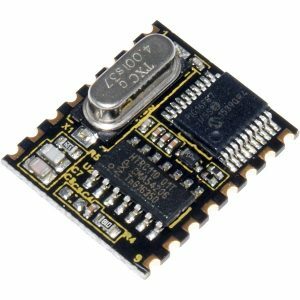 The 5 V power supply is provided by the USB interface. The 14-way x 2-row header provides jumper links for all available power and I/O signals. 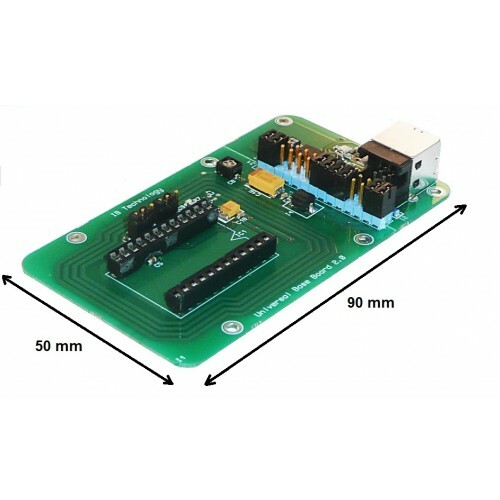 The Universal baseboard can be connected to the USB port of a PC with the FTDI VCP (Virtual Comm Port) driver installed, allowing the Windows applications to communicate with the Reader module via the allocated COM port. The Universal Socket Board with the appropriate Micro RWD module fitted is a complete “ready-to-use” RFID read/write system and is used as the base board for the Evaluation kit together with custom Plastic case and sample tags/cards. The PCB Gerber layout files for the Universal Socket board are available free-of-charge on request (ideal for copying the PCB antenna layout). 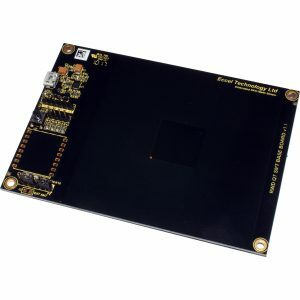 PLEASE NOTE: MIFARE® and NTAG2xx® RFID range is VERY SHORT using this universal product, and this board will work with MIFARE®/NTAG2xx® credit card sized tags only placed on or near to the case (7-8 mm from pcb antenna). 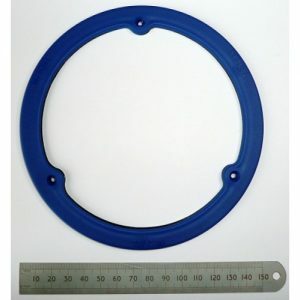 If you wish to evaluate mainly or solely MIFARE® or NTAG2xx® design, then our OEM reader products are more appropriate with a greater range (typically 50 mm to ISO14443A credit card sized transponder antennas). Range to the other transponder protocols is better (50 mm (ICODE SLI®) -100 mm (125 kHz) typically).